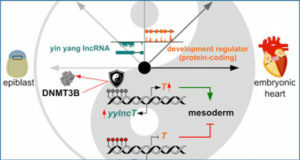 Long non-coding RNAs (lncRNAs) have been shown to play crucial regulatory roles in diverse biological processes involving complex mechanisms. However, information regarding the number, sequences, characteristics and potential functions of lncRNAs in plants is so far overly limited. 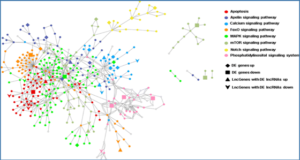 For that reason, researchers from The Institute of Botany of the Chinese Academy of Sciences used total RNA-Seq to identify a total of 23,324 putative lncRNAs from control, osmotic stress- and salt stress-treated leaf and root samples of Medicago truncatula, a model legume species. Out of those lncRNAs, 7,863 and 5,561 lncRNAs were identified from osmotic stress-treated leaf and root samples, respectively, while 7,361 and 7,874 lncRNAs were identified from salt stress-treated leaf and root samples, respectively. 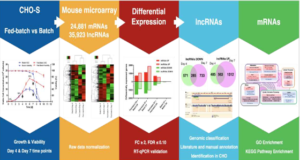 To reveal their potential functions, Gene Ontology (GO) terms of genes that overlap with or are neighbors of the stress-responsive lncRNAs were analyzed. 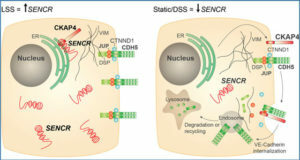 Enrichments in GO terms in biological processes such as signal transduction, energy synthesis, molecule metabolism, detoxification, transcription and translation were found. From this data, researchers conclude that the lncRNAs were likely involved in regulating plant’s responses and adaptation to osmotic and salt stresses in complex regulatory networks with protein-coding genes. These findings are of importance for our understanding of the potential roles of lncRNAs in responses of plants in general and M. truncatula in particular to abiotic stresses. 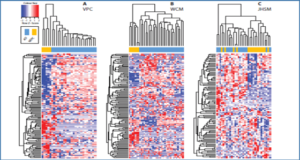 Characteristics of M. truncatula lncRNAs. a The expression level of lncRNAs (log10FPKM) along the eight M. truncatula chromosomes. It comprises six concentric rings, and each corresponds to a different sample. They are control in leaves (CK-L), control in roots (CK-R), osmotic stress in leaves (OS-L), osmotic stress in roots (OS-R), salt stress in leaves (SS-L) and salt stress in roots (SS-R) from outer to inner, respectively. b Distribution of different types of lncRNAs. 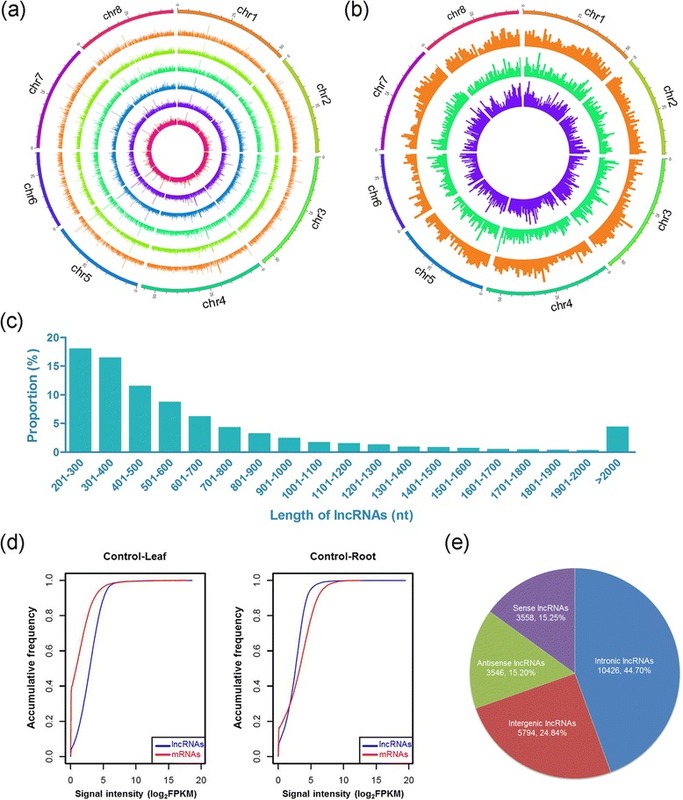 The intronic, intergenic and sense/antisense lncRNAs are represented by different concentric rings from outer to inner, according to the loci of lncRNAs in the genome. c Length distribution of lncRNAs. 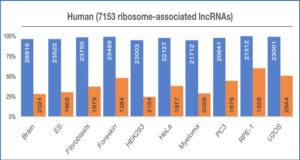 d Accumulative frequency of lncRNAs and mRNAs in two control samples. Data from other samples is shown in Additional file 1: Figure S2. e Composition of different types of lncRNAs.